There are two kinds of tools in Lightroom – global adjustment tools and local adjustment tools. Global adjustments refer to sliders that adjust the overall image. Things like Exposure, Contrast, Whites, Blacks, Clarity, Saturation, Sharpening, etc. Sometimes you just can’t push an image far enough with global changes and you need to target specific areas of an image. The HSL panel specifically targets color adjustments across an image. Let’s look at each feature while editing this photo. We’ll start in the basic panel, adjusting highlights and shadows until we get a decent level. This image was a little dark, so we’ll bump the exposure about 1 stop. Let’s adjust the whites and blacks until they’re just to the point of clipping. (Tip – to see if you’re clipping, hold the Alt/Option key when you’re dragging the slider). Now we’ve done about as much as we can do with the Basic panel. We need to do something about the sky. Let’s jump into the HSL panel and adjust the Luminance options. You can either click and drag over the photo or you can adjust sliders. I know the sky is blue [ 😉 ], so we’ll adjust the luminance slider. As with all sliders, slide it completely to the left and then back to zero. Slide it completely to the right and then back to zero. Now adjust it to your liking. I settled it at around -30. Let’s toggle the HSL panel over to Saturation now to give a little more “punch” to the sky. Increase the saturation a bit and take a step back. Does it look like it did when we took the picture? It’s very easy to over-saturate. Now we can add some finishing touches. I’ll add some Clarity and bump the Vibrance a bit. Clarity adds a bit of “grit” and Vibrance will selectively saturate colors that need saturation. I’ll also add in a few Graduated Filters to darken the edges of the image and a Radial Filter to brighten the biggest piece of the floating mountain to really help push the focal point towards the center of the image. P.S. 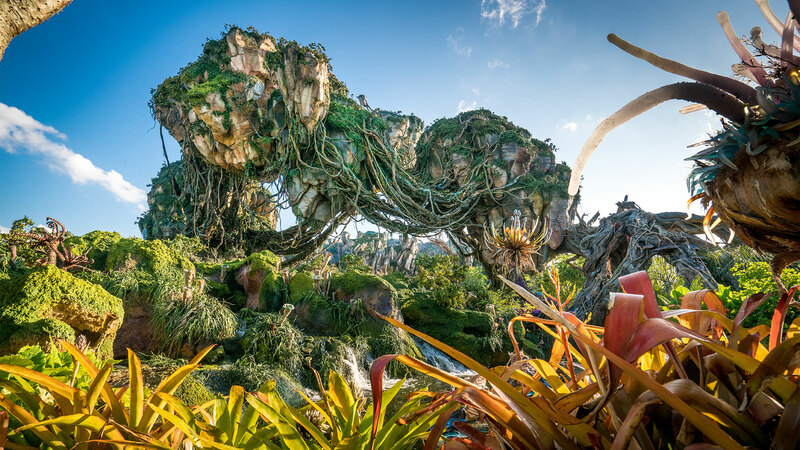 – If you’re interested, this is Pandora – The World of AVATAR from Disney’s Animal Kingdom. I shot these a few weeks ago during an annual passholder preview. Doesn’t the HSL panel affect the entire photo? For example, when you adjust the luminance of the blue, it doesn’t just affect the sky, but all blue tones. So how is that a local adjustment? It is a local adjustment as it targets a specific color or range.